Disembark your cruise in Paris and travel to Amsterdam. raise your glass to the days ahead at this evening’s welcome reception. 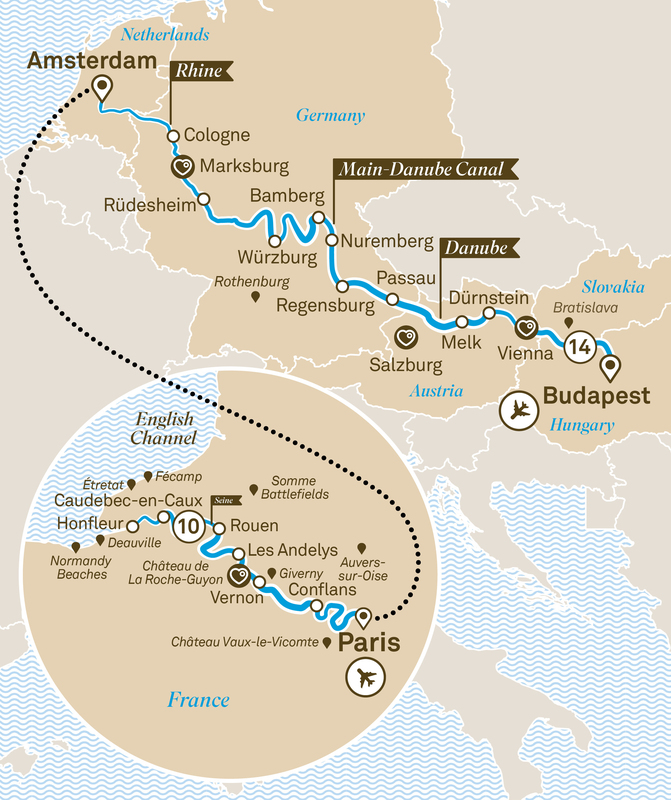 Discover the Seine and Douro, two of Europe’s most tempting waterways on a 31 day journey from Paris to Porto. Enjoy the cuisines & delights of the region.